Ned coaches football, tag rugby, athletics, netball, cricket and hockey. As a sportsman, he’s run cross-country for Middlesex and played semi-professional football for Harrow Borough. His top sports moment? Getting to play against Chelsea (he’s a fan) in a pre-season friendly. His coaching career includes time at Fulham and Crystal Palace. He enjoys being able to pass on his knowledge and experience to help nurture kids’ talent. It makes him happy to see them grow and develop into positive role models among their peers. progress in your coaching career? 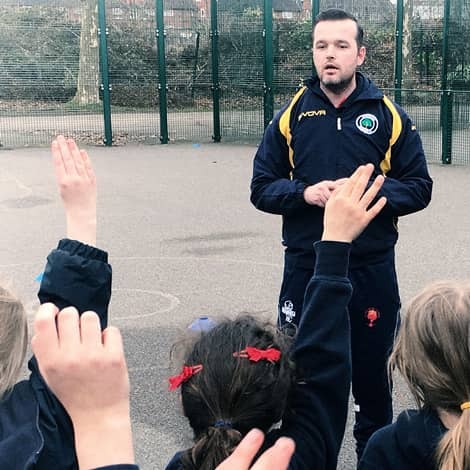 We’re always on the lookout for inspired coaches who are dedicated to enriching the lives of the children through sport. If you’d like to be a part of the Total Kids Academy team, we’d love to hear from you. Due to the high volume of applicants, we may only be able to respond to those who are successful.